The European drug checking group that analyzed this tablet issued a 'high dose' caution because it contains more than 120mg of MDMA. 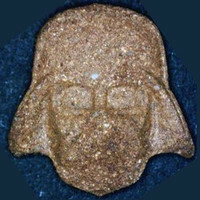 Same Darth Vader on reverse side. Color described in alert as 'red'. Sample was analyzed by checkit! in Austria between Jan 1 and Jan 31, 2019.